My friend had bought supplies so we could make watermelon jello shots and they turned out so cute! They are so fun, festive, and perfect for an adult summer time treat. 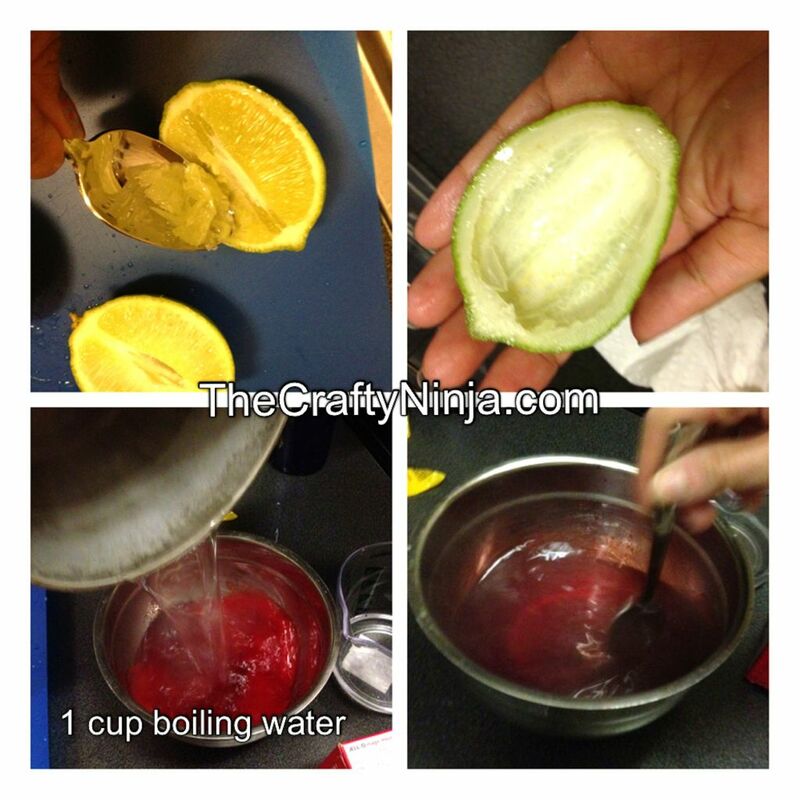 First cut the lime in half, taking a spoon scoop out the insides, we used 6 limes and had 12 halves. I started around the edges and put under lukewarm running water under the sink. If you have any cuts on your hands they may sting a bit. Boil one cup of water and once it starts to boil take off the heat and pour the jello powder mixture, for the red color we used Cherry flavored jello. 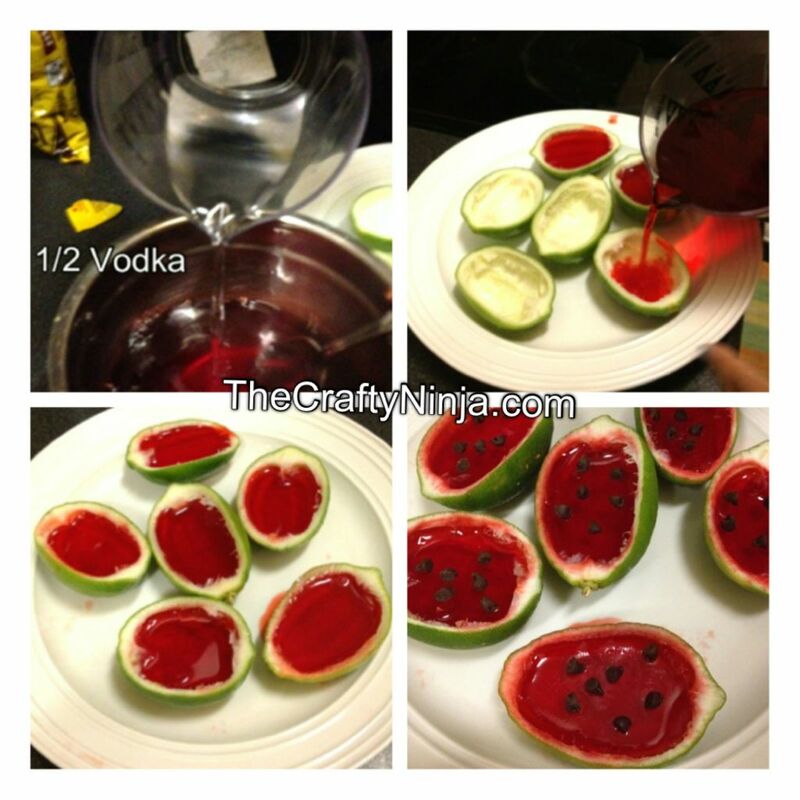 Stir the water and jello mixture for two minutes. Stir in 1/2 cup of Vodka, the original recipe called for 1 cup of Vodka so you could use the full amount, we used Sky Vodka (you can also skip the vodka to have no alcohol in it). Next pour the mixed liquid back into the measuring cup to easily pour into the lime halves. Now carefully pour. Refrigerate and once the jello hardens, in about two hours, put Nestle mini chocolate chips on top to create the seeds. 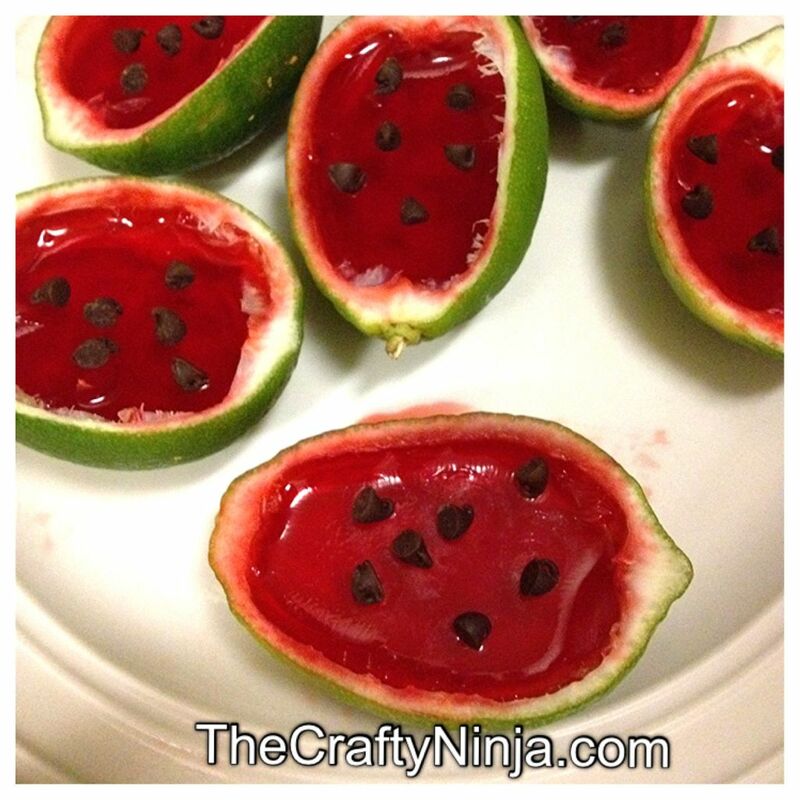 When you are done you should have mini Watermelons. Please be sure you are 21+ because I do not condone underage drinking. or just make it without any alcohol. Thanks and have a safe good time!